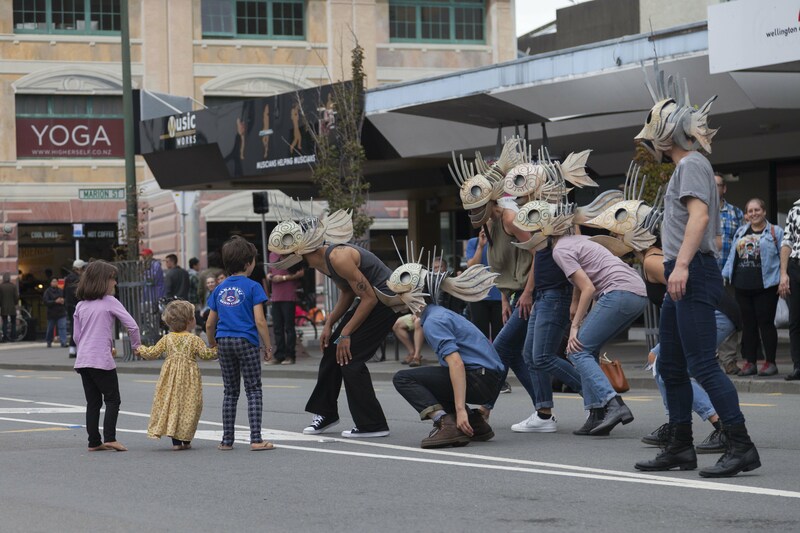 Commissioned for Wellington’s vibrant street festival, Cuba Dupa 2018, Out of the Blue sees a shoal of fish roaming the streets. This outdoor dance-theatre show takes inspiration from the culture and history of fishing and the global issues we face, both in marine pollution and over-fishing. Exploring humans relationship to fish and the importance of ‘kaitiakitanga’ – guardianship of the environment to ensure sustainability and balance of this delicate ecosystem. 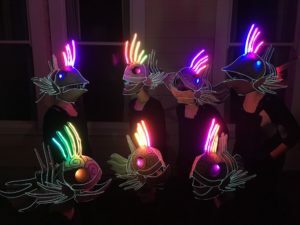 In collaboration with designers Jared Haley and Sanit Klamchuanan from Weta Workshop, we created 9 fish headpieces that are worn by the 9 performers, works of wearable art. 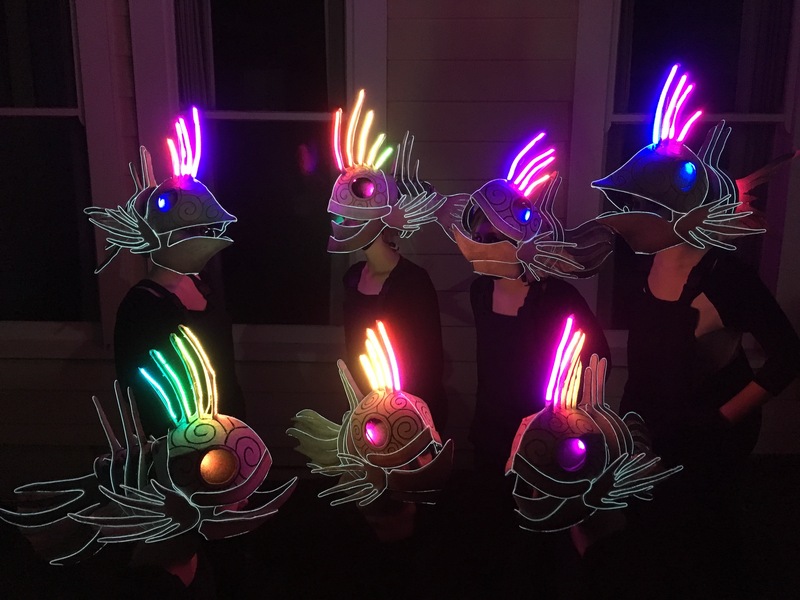 The flashmob shoal appears amongst audiences, ethereal yet powerful, these ghostly warriors flock, dart and float through the crowds accompanied by an underwater soundtrack. The work has since toured to In Motion Matariki (Auckland, NZ), Green Man Festival (UK), Butetown Carnival (UK) and due to shoal at Blossom Parade (Hawke’s Bay, NZ). Out of the Blue is currently available for touring, working with local community or professional dancers in your area to perform the work. Please contact Chloe Loftus if you would like to discuss bringing the shoal to your event.